For the last three weeks, local fashion folk and fans of Chanel have had the privilege of stepping into the fabulously creative worlds of the house’s elegant founder, Gabrielle “Coco” Chanel, and its long-time designer, Karl Lagerfeld. Chanel’s highly anticipated Mademoiselle Privé exhibition has already travelled to two other cities – London and Seoul – with Hong Kong its third stop. The showcase, which is at PMQ until February 10, brings together some of the brand’s most exquisite haute-couture creations, a Chanel No 5 fragrance lab and a room with selected Bijoux de Diamants pieces, re-produced by the incredibly talented Chanel fine jewellery creative studio. Dating from 1932, Bijoux de Diamants is the only high-jewellery collection designed by Gabrielle Chanel and is notable for her use of diamonds set in platinum (previously, she used costume jewellery and accessories to adorn her clothing). Just like her timeless tweed suit, Chanel’s first fine-jewellery line was revolutionary: light, unfussy, transformative and simply stunning. The pieces were chic and contemporary, and unlike any of the other high-jewellery creations available from the male-dominated industry at that time. 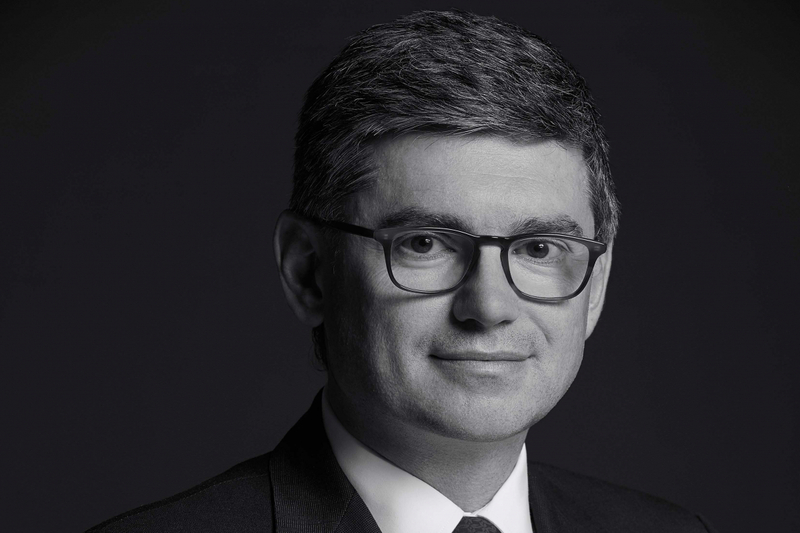 Two days before the exhibition opening, I talked to Frédéric Grangié, president of Chanel Watches and Fine Jewelry. Grangié, who has worked in the luxury field for more than 20 years, joined the Paris-based powerhouse in July 2016. During his first week, Chanel installed a wheat field (amazingly) on Place Vendôme to coincide with the presentation of Les Blés de Chanel, the maison’s wheat-inspired high-jewellery collection (one of the founder’s good luck charms). Here, he opens up about the always-inspiring Mademoiselle, the timeless 1932 Bijoux de Diamants collection and all things Chanel. Tell us about the 1932 collection. The 1932 Bijoux de Diamants collection was the first collection designed by Gabrielle Chanel around high jewellery. When she did it, she broke all the rules of the market. Place Vendôme was very male-oriented and she was the first to bring a feminine take on high jewellery that was expressed not only in the design of the pieces but also in the way she presented them. Why did the house decide to reproduce it? We knew, in terms of the history of the house, that this was going to be an important collection, and of course we’re always looking for the original pieces. From time to time we get lucky, but we’re always looking. We’re also very lucky to have found a wealth of information about the collection and the event itself. That allowed us to be able to reproduce those pieces. I think it’s important for us to be able to showcase what creation stood for in 1932. When you look at each piece, they’re just as modern today as they were back then. That to me is absolutely extraordinary. Mademoiselle was truly a visionary. What do you think about her? Beyond her incredible talent as a designer, I think what she brought to the market and to the world was the fact that she was the first independent woman to come up with this type of collection and message. Back then, I’m sure it was a revolution. It was really going against everything that you are supposed do in high jewellery. There were no clasps, it had open shapes, was very fluid and was presented on wax mannequins – which was really more of a fashion statement – yet the savoir faire and the stones were pure high jewellery. What makes Chanel watches different from those of other watchmakers? There are a couple of things. We’re now entering our 31st year of watchmaking. Last year, we came up with many new creations and, in a sense, by doing that we also influenced the market. We celebrated 30 years of watchmaking by launching a new watch, Code Coco, which we love. It’s an amazing watch and we thought that the best way to celebrate was to come up with something that doesn’t exist in the market. How important is social media in terms of exposure, new launches and reaching out to the customer? When it comes to digital communication, e-commerce and all of these new ways of reaching people and doing business, I think that we should and would only do it when it elevates the brand. Does it make it more desirable? Does it make people dream? It’s not about posting every day and posting as much as possible. I think it’s more about being qualitative. What would you like to achieve on the business and creative side? Priority is given to creativity and to creation. If you take a pure business approach to high jewellery, then you will continuously work on the previous collection and build from it. That’s not what we do. It’s extremely important to have a point of differentiation and that starts from creation. Personally, I am convinced that if we are successful at doing that, the sales will follow and increase very rapidly. There are a lot of house codes to experiment with. Does this make it easier when creating new jewellery and watch collections?